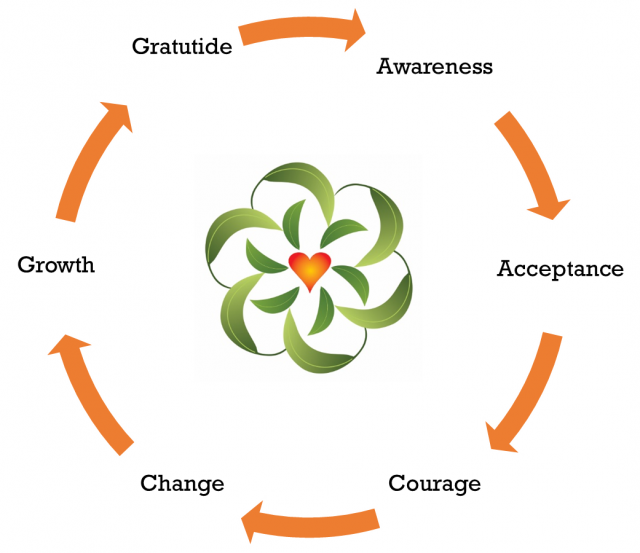 Transforming your fears into fulfillment involves moving through six unique stages that naturally flow from one to the next. Most of us have been through this cycle at least a few times in our life, whether we realize it or not. If you've ever experienced a major challenge and reached a point where you were grateful for what you learned from it (even if you'd rather not go through it again), you know what I mean. Discover the fulfillment that comes from sharing your hard-earned wisdom with other people going through similar challenges. The journey begins when you recognize that your perspectives and beliefs directly influence how you experience every aspect of your life. Notice the difference between the voice of your heart and the feedback of your "inner critic". Discover what you truly value. 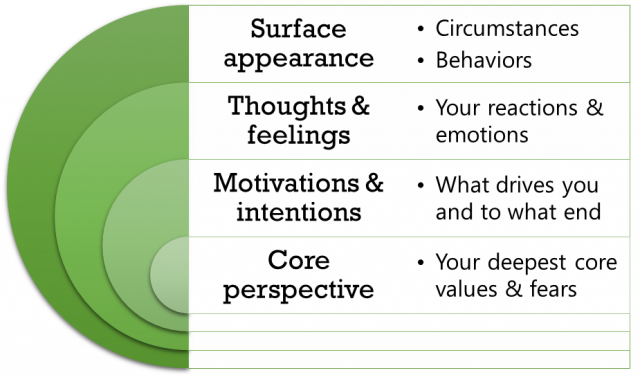 Acknowledge the stressful beliefs you hold about yourself and your life circumstances. Acceptance isn't about forcing yourself to be okay with something when you're not. It's about gaining clarity. Give your life permission to be exactly as it is before making any big changes. See what’s really happening around you, as well as inside you. Consider the possibility that your perceived weaknesses may actually be your greatest strengths. Understand what psychologist Carl Jung meant when he said, "What we resist persists." Once you have awareness and clarity, it's time to gather the resources that will empower you to trust yourself. Explore the idea of faith, be it in yourself, other people, concepts, or a higher power. Discover what gives you strength. Understand the importance of moving toward your fears. Experience self-worth and become an advocate for your life by creating healthy boundaries. Change isn’t just about altering your external circumstances. In fact, one small shift in your internal perspective can make your whole world look different. Redefine stressful concepts such as success, failure and perfection. Instead of seeking external approval, put your energy into developing internal trust. Your external circumstances will organically evolve when you begin to make life choices that feel more authentic to you. Growth is often experienced in subtle ways. You may gradually find yourself being more patient, both with yourself and others. Aligning your beliefs, perspectives, choices and actions with your core values starts to feel as natural as breathing. Uncertainty begins to provoke more curiosity than fear. Most of us don't move smoothly through each stage of the Fulfillment Cycle, especially when facing brand new challenges. If you feel stuck, it's important to remember the role your point of view plays in every aspect of how you experience reality. If you live within the first two layers of your perspective - surface appearance and what you think and feel about it - this can lead to an endless cycle of stress and anxiety. Sustainable shifts in your mindset and responses occur when you explore the deeper layers of your perspective, particularly your core. In fact, one of the very first steps I take together with a client when we enter into a coaching partnership is to complete a Core Values Assessment. The Core Perspective Model can help you move more quickly and completely through each stage of the Fulfillment Cycle. These two powerful frameworks compliment and strengthen each other in any set of circumstances you may face. If you're ready to dive in, consider working with me one-on-one, attending a class, or reading my book.